John McGivern serves up a steady stream of stories from his Wisconsin childhood. They recall an age of innocence bounded by snow days and Thanksgiving dinners, handcrafted Christmas toys, trees purchased at the Odd-Lot-Tree-Lot, the annual WE Energies Christmas Cookie Book, New Years Eves in the finished basement and life in the McGivern Household around the Holidays. This show recounts holidays past and present and is guaranteed to generate loads of laughs and a warm, holiday glow. McGivern is best known for his Emmy-award winning work on PBS. 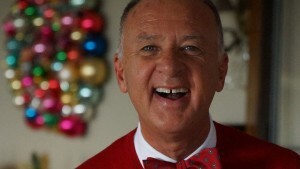 His one-man-shows, The Early Stories Of John McGivern, Midsummer Night McGivern and John McGivern’s Home For The Holidays, tell the stories of being the third born of six kids in a working-class Irish Catholic Family in the Midwest.